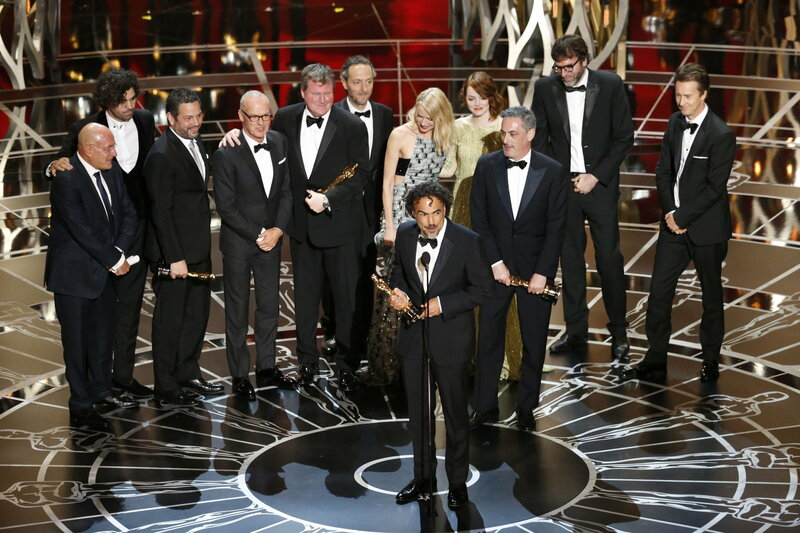 2015 was a year of meager expectations when it came to the Oscars. While controversy surrounded the nomination process, we generally knew who’d take home the major awards. No one gasped in amazement when Birdman took Best Cinematography, or when Patricia Arquette was named Best Supporting Actress for Boyhood. Yet sometimes there is intrigue to be found in the banal. J and I sit down to discuss the event in our annual Oscarcast, covering everything from the categories themselves to the filmmakers, the speeches and the terrible hosting schtick foisted upon Neil Patrick Harris. For an event so steeped in tired tradition, our conversation extended well beyond our usual hour-long podcast format. We decided to split this podcast into two halves as a result – both of which can be found below. As always, you can subscribe to all Movie Fail podcasts using iTunes. Alternatively, you can check out Parts 1 and 2 online or download them here and here. Happy listening! In Part 1 of the podcast, we mentioned an article that examined the racism of Boyhood, which can be found here, as well as the pandering poster campaign used to promote The Imitation Game to Academy members. I talked about Pride as a superior LGBTQ film to TIG (Jonny’s review of that movie can be found here) and repeated my praise of Moonrise Kingdom as “peak Wes Anderson” over The Grand Budapest Hotel. In Part 2, I mentioned the new head writer for the Oscars, Greg Berlanti, might be to blame for NPH’s ho-hum hosting. We also discuss Kristen Stewart’s historic César win for her role in Clouds of Sils Maria and contrast that with her reputation for terrible acting. This leads to a discussion of The Rover where we lament Robert Pattinson’s snub for Best Supporting Actor. We later delve into Dan Gilroy’s comments about superhero movies with Paul Thomas Anderson’s kinder take on the state of the industry, as well as the surprise over Whiplash‘s nomination for Best Adapted Screenplay. We move from there to technical categories and I refer back to my piece on the use of CGI in Guardians of the Galaxy. Finally, we talk about #AskHerMore and how that impacted Oscars red carpet coverage. What did you think of the Oscars this year? Any upsets? Did you enjoy the speeches? What’s your take on diversity and representation among the nominees and the voters?